By the volunteers, I mean. Since the Juneau-Douglas City Museum is small in size, we are a staff of four employees, one intern (that’s me! ), and several volunteers that take on different shifts throughout the week. While we do have volunteers that work downstairs in collections, most of our volunteers give their time upstairs at the front desk. Those volunteers mainly run the register for admissions and the gift shop, answer any questions that visitors have, and sometimes even act as (informal) docents. At least twice a week, I have the opportunity to work with a volunteer at the front desk. 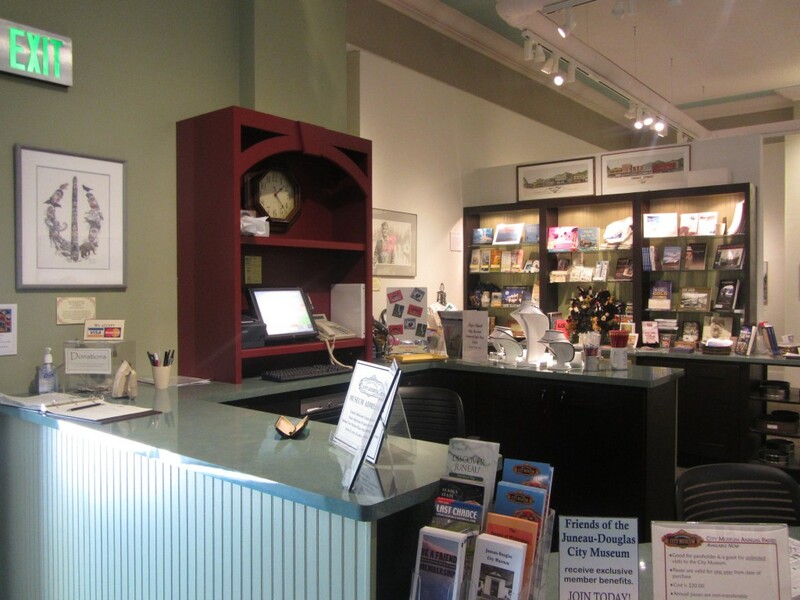 Working at the front desk allows me to interact with visitors that come into the museum. I have met many different people from various countries and continents (I talked to someone from Malta a few weeks ago!). Since our visitors are mainly tourists, I am often asked questions about Juneau. Being at the front desk has actually allowed me to learn quite a bit about the area, after having given (sometimes questionable—sorry!) directions or having had to look up a piece of information for someone. When the museum is not bustling with visitors, I often get to hear stories about Juneau from the volunteers that I work with. The volunteers that I mainly work with have been residents for many years, having a plethora of stories to share and a wealth of knowledge about Juneau and Alaska. 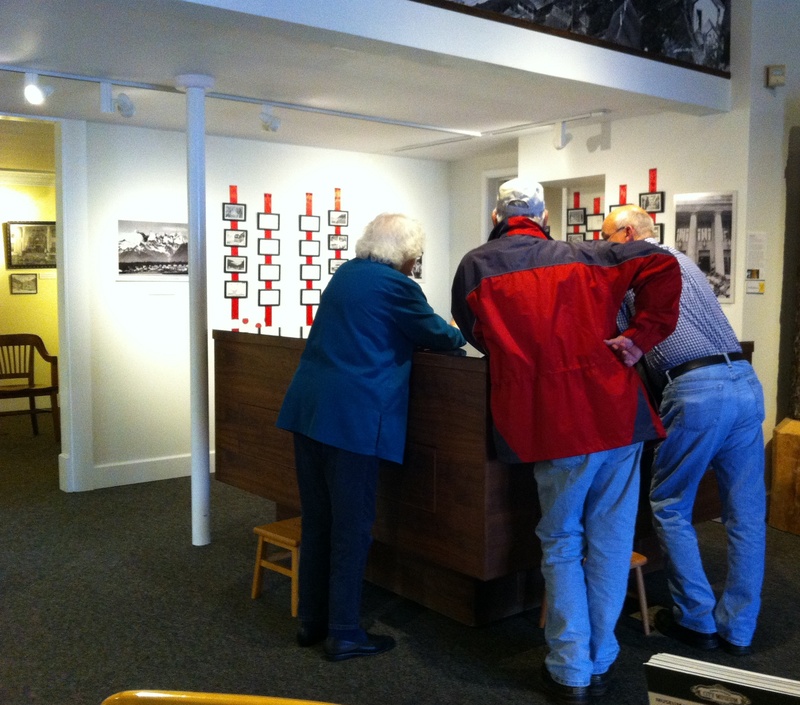 Working upstairs is not only gratifying because it allows me to see firsthand how well the exhibits are received by the visitors. It has also permitted me to hear the amazing things that our volunteers have experienced in Alaska firsthand! Be sure to check back for more of my adventures here in the Last Frontier! I like Malta for Art History nerd reasons. I will anxiously await adventure tales to come!